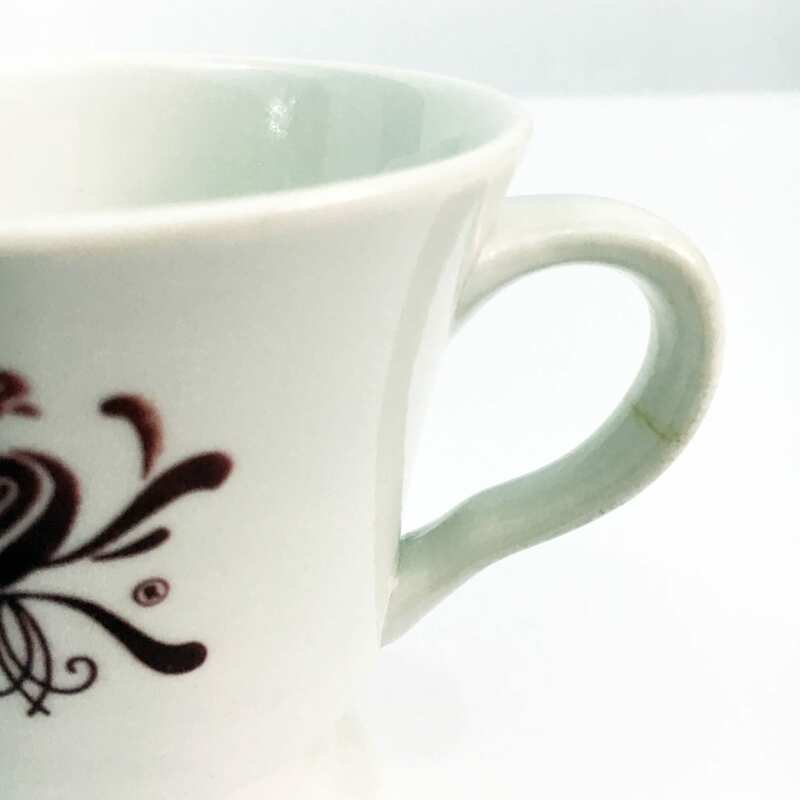 Description: Adorably set of 2 Senango China china mugs. 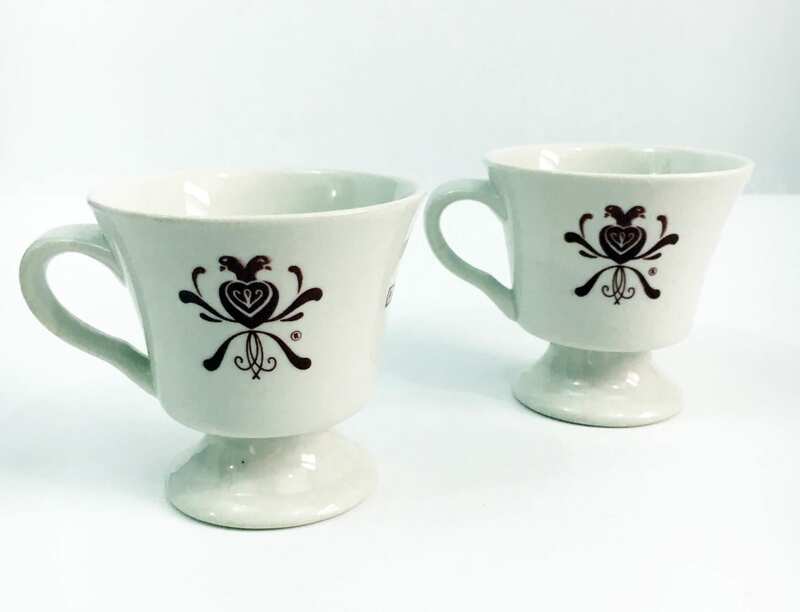 Each mug has the dutch lovebirds design on the front and back. 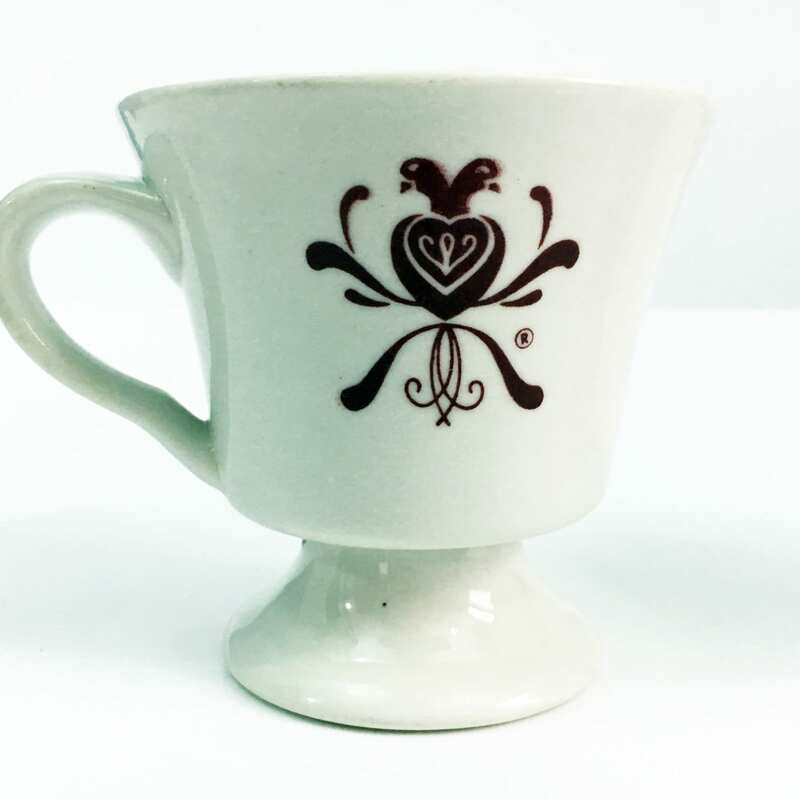 In the middle (across from the handle) is a flower/heart/arrow design (see last photo above). 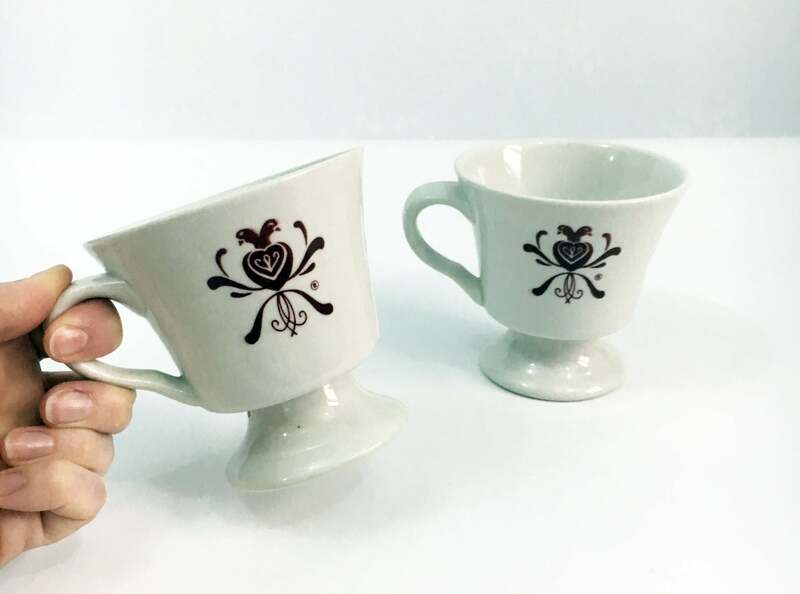 The designs are in a soft dark red color. Size: 3 3/4'' tall, 4 3/4'' wide (with handle), 3 3/4'' wide at top (without handle). Holds 6 oz. comfortably, 8 oz. to the rim. Condition: Mugs are all in good vintage condition. There are some use marks here or there and discoloration of one handle (see last close up photo). This handle seems to have a hairline fracture under the glaze. Mug is priced accordingly. Designs on the outside are bright and beautiful. 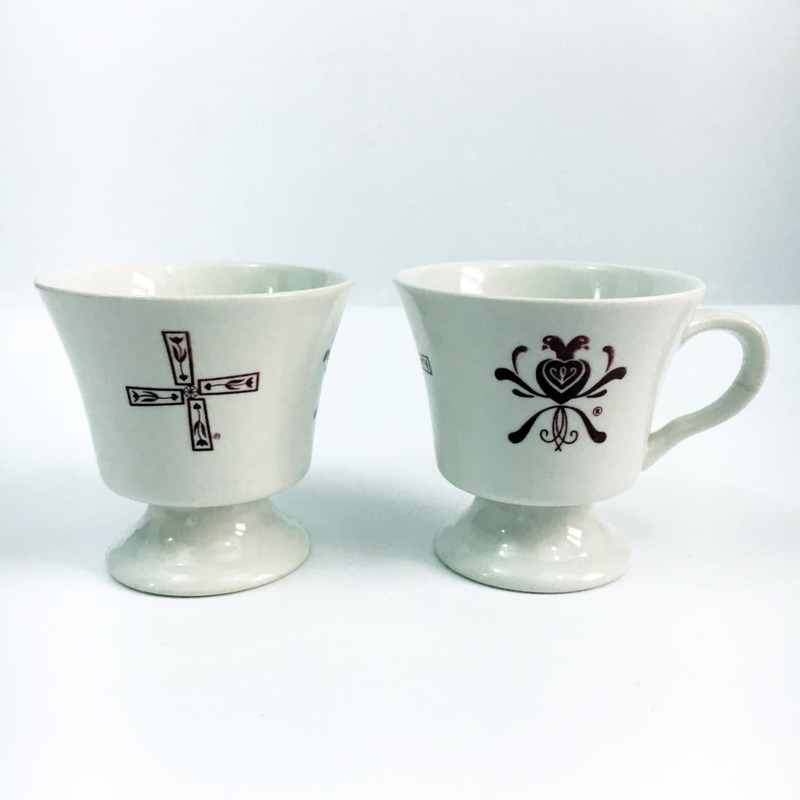 Great vintage set - Rare mugs in this hard to find pattern. Amazing collection!